BURNDY®, a leading manufacturer and provider of wire management solutions to the Solar PV industry, announces the addition of the new ACC-F4F wire management clip to the WILEY line. The ACC-F4F wire management clip is made of corrosion resistant 304 stainless steel, which makes it a durable, long lasting and reliable solution for all environments. The ACC-F4F is easy to install and slides 90 degrees on to module frames of various thicknesses. The ACC-F4F accommodates 1 to 4 PV cables up to 8.0mm in diameter. The rolled edges are designed to help protect cable insulation from damage. 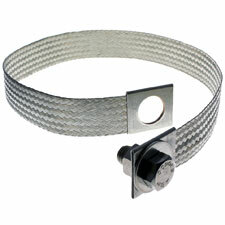 ACC-F4F clips are the perfect solution for keeping the PV installation neat, clean and free from ground faults. For more information on other Wiley Products: http://www.we-llc.com. For System Compatibility information, visit: http://www.we-llc.com/references/technical-references. For Installation manuals, visit: http://www.we-llc.com/references/installation-manuals. Since 2009, BURNDY® has been a key brand under Hubbell Incorporated. More information can be found at www.Hubbell.com.